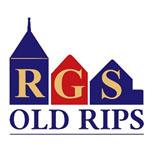 The ‘Old Rips’ is a large group of past students and former staff of Ripon Grammar School and Ripon Girls’ High School and membership is FREE. Led by a committee elected annually, our aim is to promote social contact between our members and their families, usually through organised events, and to raise funds for school. Membership of the Old Rips ranges from people in their nineties to those fresh out of school! Our most popular gathering is the annual winter reunion which typically takes place on the last Saturday before Christmas. This year’s reunion was particularly successful with visitors coming from all corners of the globe. Please see our Clocktower alumni magazine and our Facebook pages at www.facebook.com/rgsoldrips for photographs and stories about our recent events.